Are you fed up with insects invading your house and lawn or pursuing you on a hike? We guess you are among those many who are. Now, allow me to suggest that spraying and sprinkling all sorts of insect repelling liquids and granules is not less annoying than the pests themselves. And, by the way, do you know that when using pesticides not in accordance with the label directions you violate the law of the USA? Add to this hazards posed by chemical repellents to your health and pets. Um, okay, that’s a lot of trouble for a daily struggle with an endless flow of various pests… One would wonder why the hell we should resort to these last-century solutions, whereas this is the 21st after all! We are living now in the epoch of a technological breakthrough, with the growing number of all sorts of gadgets. Then, why not to let machines do this dirty job? So, electronic bug repellents are what our investigative report is about. We have explored the question and set out the findings below. Our conclusions are based on three sources: What scientists have discovered. What manufacturers claim. And what consumers say about their experiences. Having read this piece, you will find out what kind of electronic bug repellents are commercially available, whether ultrasonic bug repellents are effective and for how long. If you are short of time, have a look at a comparison table of the effectiveness of the devices we have examined. A review of TOP 9 products will greatly facilitate the choice of an insect repeller. Do Ultrasonic Bug Repellents Work? How can we evaluate the effectiveness of ultrasonic bug repellents? Well, the best way is to look at what scientists say and what their studies show. But it is not that simple. Not only do researchers disagree on the question as to whether ultrasonic insect repellers work, but they do it in such an emotionally charged atmosphere comparable only to that of Game of Thrones! Divided into two opposing camps, they are arguing about whether the ultrasound has a future as an effective pest control measure. And yet, scientists are on the same page about the commercially available ultrasonic bug repellents which are not viewed as a good measure to lower insect populations in the area. 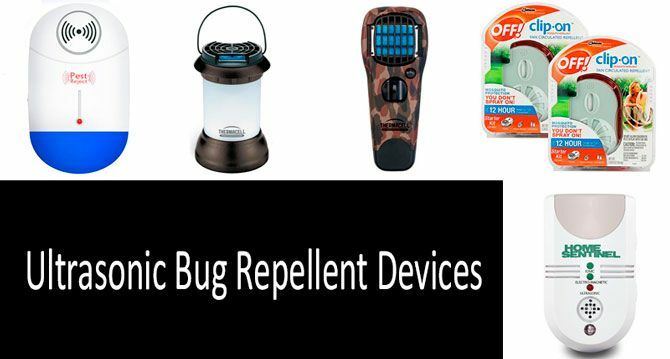 What types of electronic bug repellents are the most common? These are ultrasonic mosquito repellers of different frequencies, devices releasing chemical repellents, and mobile phones repelling flying insects with ultrasonic waves. Let’s start with mobile repellers. Well, the thing is that scientists are skeptical about such devices. Bart Knols, a famous entomologist, has challenged claims that ultrasonic insect repellers work. He filmed himself with an iPhone app generating ultrasound at a frequency of 15kHz, placing it into a cage swarming with flying insects. What happened? These guys were keeping their Spartan reserve and seemed to be absolutely fine! But wait, 15kHz is not the ultrasound frequency which actually starts from 16 kHz. That’s why you should not judge about ultrasound effectiveness from this case. Okay, let’s have a look at what scientists say about higher frequencies and more powerful devices. Kansas University specialists used units generating ultrasound at a frequency up to 100 kHz and applied them to flying insects and cockroaches. The results have turned out to be “statistically not significant”. But what should we know about commercially available products? They are definitely less powerful than those exploited in labs. Besides, such products are typically portable which does not add to their effectiveness. Let’s take the example of Pest Reject Ultrasonic Repeller. The manufacturer says its product repels all and everything — from rodents, spider to all sorts of insects. Well, this sounds too good to be true... for a 40-dollar device. Particularly when it comes to insects since every species of insects respond to their specific frequency range. By the way, this is why the effect should be targeted. And it is unlikely that once you will have to deal with crowds of ants, bugs, roaches, and flying insects simultaneously. Never give up! This is exactly what a motto of ultrasound advocates sounds like. They call on to conduct further studies and take a complex approach. A good solution was tested by Nigerian scientists and showed impressive results. An air conditioner with an ultrasonic repeller inside has proved to be more effective than an ultrasonic device alone. Over 60% of the flying insects died and more than 62% were repelled. Their opponents insist that the effect should be attributed mainly to the fan that dehydrates insects. Another good combination is ultrasound used along with electromagnetic waves. There are commercially available repellers which use both these methods in conjunction. The producers claim that their devices are capable of repelling all sorts of pests. Okay, let’s have a look at what scientific evidence is provided. Colorado researchers have conducted a trial to determine the effectiveness of electromagnetic waves against cockroaches. They exploited a coil, which emits electromagnetic radiation, comparable to commercial devices. “Thus, I reject my hypothesis that German cockroaches are negatively impacted by 12V pulsing electromagnetic radiation at 50/60 Hz, as there were significantly more cockroaches in the zone exposed to the radiation than in zones exposed to insecticides,” the report reads. Nevertheless, the scientists believe that using a combination of ultrasonic and electromagnetic waves is likely to enhance the effectiveness. “Since previous studies have determined ultrasonic pest control to be an ineffective pest control method, it can be concluded that, if these devices are effective, it is due to the electromagnetic radiation they emit,” they say. That is why we perhaps should give a try to such ultrasonic bug repellents. Many people believe that it is difficult to avoid the use of chemicals but their negative impact can be minimized. By means of new technologies, of course. This is the case for electronic devices heating and releasing such chemical compounds as metofluthrin or allethrin which deter flying insects. There is no scientific data showing that electromagnetic waves significantly affect insect behavior. Nor does the ultrasound impact on pests is studied well enough. Involves the use of advanced technologies. Safe and easy-to-use. Some users say that such devices deter flying insects. The manufacturer claims the product’s effectiveness has been proved during tests. Independent scientific trials show mobile repellers are useless in control of flying insects. These products are not intended to repel other insects, such as cockroaches and ants. More powerful than mobile phones. You do not have to apply chemicals. Safe. Portable and can be easily mounted anywhere. Researchers have not found yet any evidence proving their effectiveness as a pest control tool. Insects tend to get accustomed to the sound in case the unit is not regularly moved from one place to another. According to scientific research, when using an air conditioner and an ultrasonic bug repellent simultaneously, more flying insects are repelled and killed. Easy-to-use and safe. Does not require using chemicals. It is intended for using indoors only and for flying insects only. Opponents say that such air conditioners just dehydrate the insects and ultrasonic insect repeller contributes little to the result. Researchers say such devices are good at both deterring and killing pests. Chemicals should not be applied to the skin or sprayed around. Instead, they are released automatically and are safer in use. Much lasting effect. They are less safe than all the previous types of products. Can cause the skin irritation. Should be applied outdoors only. So, recently, LG has introduced a smartphone embedded with technology which is said to keep flying insects at bay. It emits ultrasonic waves from a mesh grid on the back of the phone. The producer claims that experiments proved the phone repelled over 70% of flying insects capable of spreading diseases. Yeah, this would be great news, especially for travelers. But while Apple fans queue outside stores for iPhone X, there is nothing even close to it when it comes to smartphones repelling flying insects. Why is that, given that both products have something in common — a ton of marketing efforts was done to promote them as something unique and must-have? Researchers conducting studies have found out that flying insects are capable of responding to frequencies in the range between 35 and 60 kHz. More optimistic conclusions have been drawn by Kenyan researchers, after they exposed flying insects to ultrasound in the range between 35 and 60 kHz. About 40% of the insects responded to ultrasound and did not move, which actually is not a good result if you need to get rid of pests. Air conditioners with built-in ultrasonic repellers are also available but it is something you may find in any store. Obviously, this is about limited sales. Moreover, the researchers conducting tests point out a crucial downside of air conditioners — they are too expensive for simple folk. But it is them who suffer most from biting insects and become infected. Perhaps, the most effective solution is ultrasonic units deterring flying mosquitoes with chemical repellents. You do not have to apply this stuff to the skin or spray it, therefore, such products are much safer for humans and pets. We have prepared a review of electronic bug repellents. Thermacell gadgets with cartridges heating chemical repellent allethrin is a pretty good way to combine advantages of electronic devices and insecticides. We have examined an ultrasonic bug repellent that is said to repel a large variety of pests and a gadget combining the effect of ultrasonic and electromagnetic waves. “Since previous studies have determined ultrasonic pest control to be an ineffective pest control method, it can be concluded that, if these devices are effective, it is due to the electromagnetic radiation they emit." (as a pest repellent in German cockroaches). As you can see from the written above, there are only two devices on the market that are effective against pests from a scientific point of view and then only against flying insects. Therefore, in your fight against insects, you should better count on old good chemical repellents like DEET that have proved to be the most reliable solutions. Also, at the end of the article, we have provided insight into other types of products repelling flying insects. Although the product’s sleek design was the first thing that attracted my attention, I must say that it isn’t the only benefit this model offers. First, it covers the area of about 15 feet, which is quite enough given that the average size of a patio is between 16 and 18 feet. Another reason for choosing this product for the patio and all sorts of outdoor activities is the fact that it is water-resistant and comes with a cover. Like other Thermacell products, this one allows you to avoid fogging and spraying, that is, a lot of mess and preparation. What you need is simply turn on the device. Once activated, it heats a mat to make it release chemicals that will repel insects. The item will cost you some $20-$30. For the price, you get a functional and portable repeller weighing less than 10 ounces. It requires neither cords nor batteries but instead uses liquid butane to heat. In addition to the device itself, you get three repellent mats lasting for 12 hours as well as a butane cartridge. If you need a more powerful unit providing longer-lasting mosquito protection, take a look at this option. Although a package includes a 12-hour refill, you can buy separately a more potent one designed to emit repellents throughout 40 hours. Both of them are based on liquid formulation. According to the producer, the secret of the device efficacy is in using pyrethroid which is highly recommended by scientists for mosquito control. When applied through fogging or spraying, this insecticide carries a risk of harming beneficial insects like butterflies and bees, whereas repellent mats release it in smaller amounts, making the device more ecologically friendly. In 2018, this model picked up Popular Science's Grand Award in the Recreation Category. The product has become the first rechargeable zone mosquito repeller in the world. It is also noteworthy that the device is approved by EPA and is TSA compliant. So due to its potency, the solution will cost you more than the previous one — about $50. But, in my thinking, it is worth that kind of money. Not only does this model provide a more durable repelling effect, it also covers a larger area — more than 100 square feet. In addition, unlike the above-mentioned product, this one runs on a rechargeable battery and is two times smaller, something that makes the item a perfect choice for traveling. There are situations when you spend lots of time outdoors being exposed to mosquito bites. Camping, hiking, picnics… all these activities are likely to fall into this category. And this is where a question of power consumption arises. When using devices powered by electricity, you will have to either stock up on batteries, which will eventually cost you a vast deal of money, or regularly recharge the battery, something that requires a socket or the like. The gas-powered units have the advantage of being both cost-efficient and convenient for use when you are traveling. In addition, being less than 4 inches in height, the model weighs just 4 ounces and is easy to transport. However, the main benefit is the durability of the repelling effect this device can provide. So when a small four-ounce canister is used, it can work up to 90 hours. With a 16-ounce canister, it operates as long as 360 hours. You just need to have enough repellent mats. The latter ones emit allethrin, which is why this model covers a smaller area than Radius Zone based on pyrethroid. 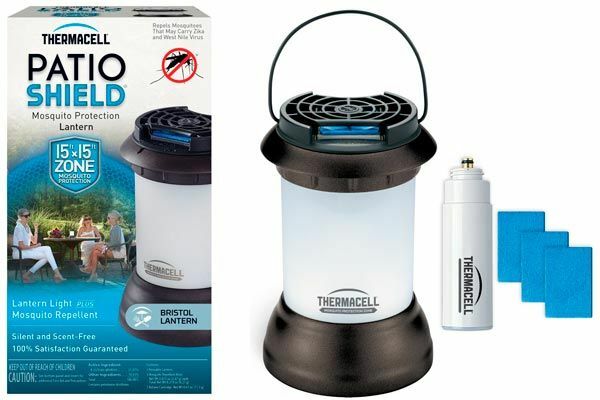 In case you have a heavy infestation of flying insects, use Thermacell repellent. It will help you keep the pests away by means of a chemical compound allethrin. This chemical is released once the cartridge heats a repellent mat. No need to apply insecticides to the skin or spray them. Such approach is safer and does not require human participation. Another advantage is that the stuff is odorless, so, when engaged in outdoor activities, you will not spoil your leisure time with the foul smell typical for insecticides. The product comes with a fuel cartridge and repellent mats but without a holster. The insect repeller is designed to protect the person up to twelve hours and is said to cover an area of 15 square feet. Portable and lightweight, it is great for camping or a picnic on the lawn, but not for using indoors. Also, be sure, you read all label directions and follow them. Chemicals are chemicals and what hurts a fly can cause harm to humans as well. It rates 4.1 out of 5 stars in reviews. “I use this for hunting...and it works!! Sit in a tree stand in a very buggy South Carolina woods....and no bugs...no skeeters...nothing.. It is an indispensable part of my hunting gear now!” a buyer said. As for hunting, this item is really a good idea as it has numerous color options including one of a military style. «This actually works great! Bought it just to try it out. Our yard backs up to a wooded area, so in the warmer months, mosquitos are pretty bad. I turned this on and set it on the porch floor next to me. Within 5 minutes they were gone, literally dozens and dozens of mosquito's, gone and for over half an hour I had not one touch me or buzz next to me. I would recommend to all buyers and users, start it up 5-10 minutes before you want to occupy your porch space or have it effective and let it fill the zone with the repellent». «Once I received it, I found it very easy to put together and operate. A ton of rain this year means a ton of mosquito's. Yes, it does work, however, it takes a while for the "incense" to really get started. I also think it works best if it is right next to you or if you carry it around with you and don't believe the range is more than 5 feet IF the "incense" is blowing in your direction». This is a product of the same producer and has similar features. Its active ingredient, allethrin is released once the mat is heated.Thermacell electronic bug repellent protects approximately the same area but differs in its design. Made as a LED lantern, the product may become an essential part of your hiking gear. Or place it on the porch to enjoy evenings outdoors without being attacked by flying insects. You may turn on both the lantern and repellent or just one of them, depending on the current needs. It is odorless, portable, and lightweight. Take it with you on any outing in order not to bother about pesky insects. The package consists of the device itself, a fuel cartridge for 12 hours and three repellent mats ensuring four-hour protection. The product has scored 4.1 out of 5 stars. Some customers say that the repeller works as advertised and repels bugs while other users were not satisfied. “Did not work on our northern Minnesota deck! The bugs were horrendous this summer but we will try again next year,” one of them said. 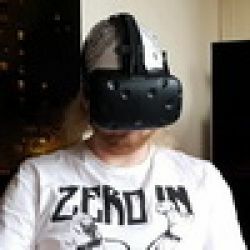 «I have to admit I was skeptical but this thing really works. I placed the ThermalCell under our picnic table. In 5 minutes, we noticed that all mosquitos were gone. We had two big pots of chrysanthemum and citronella plants as well as used numerous anti-repellent candles. None of them worked as well as the ThermaCell that effectively covers a larger area. Overall this is a well thought out and very effective insect repellent. Lightweight, easy to use, completely unobtrusive and efficient». «I was skeptical at first, but because of this product's affordable price range I decided to give it a try. We turn it on and set it on the picnic table as we begin preparing dinner. After dinner we place it between our camp chairs for the remainder of the evening. We were not bothered by gnats or insects while the Thermacell was on and we were within 10 feet or so of it. It obviously won’t work while you move but when sitting down for a break it keeps the mosquitoes away. One hint: turn it on a few minutes before sitting down to give it time to heat up enough». Ultrasonic Rodent Repeller by Pest Venator: photoSo let’s have a look at a good ultrasonic repeller targeting a wide range of pests including mice and rats, affecting their nervous system. It has quite favorable price for a technological solution. The manufacturer promises tangible results in a month or so after the installation of the device. Ultrasonic Pest Repellers by Pest Venator is non-toxiс, human & pet-safe, suitable for using in living rooms, attics and basements, outbildings, warehouses and offices. It covers up to 3200 sq.ft. This statement is a sheer nonsense since one of the scientifically proven downsides of ultrasonic bug repellents is their short-term effect. The main thing you should remember is that insects, spiders, mice and others always habituate to noises. This is why regularly moving the gadget, turning it off for a while as well as other steps should be taken to prevent the pests from getting accustomed to the emitted sound. And yet, there is positive feedback from customers, so, it is up to you whether you should trust this product or not. It rates 4.6 out of 5 stars. “This is barely audible to the human ear but seemingly keep my room bug free,” a user said. However, another customer was not as lucky: “I plugged these in 3 weeks ago and I’m still picking up stink bugs around the house and flushing them down the toilet. I was hoping this item would work on stink bugs but I am not convinced it is working,” he said. This gadget produces more complex impact, by combining effects of ultrasonic and electromagnetic waves as well as employing ionic purification technologies. The latter mimics the atmosphere of an incoming storm making insects frightened, while electromagnetic waves irritate the nervous systems of pests. Moreover, the device turns on at night and is off in the daytime automatically. Apart from the lights showing a function status, there is also a built-in blue LED light that is switched on at the nighttime. ✔ Uses ultrasonic, ionic, and electromagnetic technologies to drive pests away. ✔ Mice, rats, spiders, roaches, mosquitoes, ants, snakes, rats. ✔ None are immune to the sound and completely leave after a few short weeks of use. 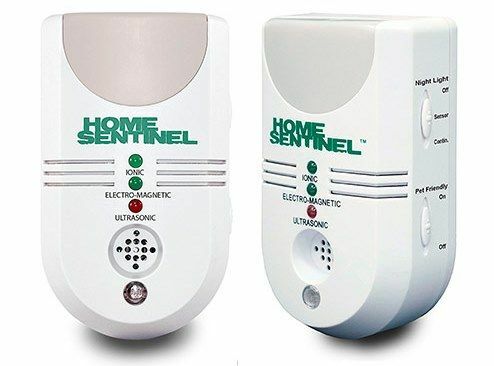 Home Sentinel Repeller targets cockroaches, ants and some other pests and, according to the seller, covers an area of about 1,200 square feet. By creating an unbearable environment for insects, the gadget is said to drive pests out within several weeks. Although there are controversial scientific findings regarding the effect of ultrasonic and electromagnetic waves used separately, researchers believe that a combined approach yields better results. However, we should take into consideration that the seller has not indicated frequency at which the gadget operates, therefore, it is hard to judge about its effectiveness in science terms. One of the buyers says that the product’s ultrasonic frequency is just 25 kHz which is too low: “I don’t know whether the electromagnetic device works but the US one is completely useless because it broadcasts a far too low frequency, so low that it can bother dogs and cats without doing so for pests which need 38-44 kHz,” he noted. The electromagnetic, ionic & ultrasonic bug repellent rates 3.6 out of 5 stars, with 1,175 customer reviews. Regarding roaches and ants, the customers’ opinions vary. “Cockroaches comfortably walk on the device,” a buyer said. Another user has a different experience: “Yes, it works on cockroach. Note one device can cover only one room, you will need a separate device for each room.”. Another customer says that his house “used to look like an ant farm” until he installed three devices in the kitchen, living room, and near the backyard door. As a result, ants have left the building. You will hardly find something more convenient for outdoor activities than this ultrasonic bug repellent that can be hang around your neck or fit into the smallest bag. Soaring Bug Repellent can be tuned to different frequencies to repel different kinds of flying insects. Such option as LED lights and “alarm” mode will also help you in emergency or any non-standard situation when you going on an adventure. The ultrasonic frequency is up to 28 kHz which is a bit higher than that of Sentinel but still is not comparable to that used by researchers in their tests. But the coverage is less — just 107 sq ft and about two meters radius. Besides, keep in mind that ultrasonic waves along produce worse results than a combination of different technologies. Another disadvantage of this repeller is that it works for flying insects only. This ultrasonic bug repellent has scored 2.6 out of 5 stars in reviews. “I have been looking for something other than applying chemical (Bug repellent sprays) on my body, and this seems like a great idea. I have not put it to use, but I will be in two weeks” a customer noted. Some buyers claim that the solution did not repel flying insects and they were still bitten by them. The main part of this electronic bug repellent is a fan circulating insecticide (metofluthrin) that keeps flying insects away. Scientists have repeatedly tested metofluthrin and found out that the stuff really affects flying insects and is capable of repelling the majority of these pests approaching the person. It is intended for being used outdoors only due to evaporating chemicals. The package includes batteries and a refill. It is noteworthy that this very device was suggested for use as a pest control tool by researchers from the State University of New Mexico. They claim the product to be more effective than devices based on natural ingredients but, at the same time, less toxic than conventional insecticides. Another advantage is that it is wearable and can be attached to any item of your clothes. The most significant disadvantage lies in the fact that the person should not move to make the repeller effective. When walking, make a stop and wait for several minutes to create “a repellent cloud” around you. The manufacturer says that the product ensures protection from bites during twelve hours and is absolutely odorless. But let’s be frank: not everything the producer claims reflects the reality. Some customers complain about the strong smell that can even make a person sick. Clip-on electronic bug repellent has scored 3.4 out of 5 stars. Customers took the repeller with them when being on vacation, walking the dog or gardening. “Other than DEET, not every repellant works on every bug for everyone. But this does a good job for me,” one of the users noted. Another buyer was satisfied with the product saying that it was easy to clip on, fill and use, but he expressed the wish that a “deep woods bug version formula” would appear. Well, the choice of ultrasonic bug repellents is not big. So, what other solutions can be applied to control cockroaches, bedbugs, ants and flying insects? First of all, these are insecticides ensuring eradication of your pests. Powerful insecticides are toxic but the most effective ones. This is why they kill rather than repel pests. A knockdown solution frequently recommended by scientists is Tempo Ultra Multi-Use Insecticide. The concentrate with the active ingredient Cyfluthrin targets bedbugs, cockroaches, and some other pests. According to the manufacturer, it is the fastest-acting pest control on the market. It can be applied both indoors and outdoors, including trees and lawns, so the solution is not as toxic as many other heavy insecticides. If you want to kill roaches and ants slowly but for a longer period of time, choose I.G. Regulator. With the active ingredient 2-(1-Methyl-2-(4-Phenoxphenoxy) Ethoxy) Pyridine — something that is even hard to pronounce — the solution prevents the development of larvae into adults. Once the stuff is applied, you will not see roaches for more than half a year! In addition, the product is cost-efficient as a 4-ounce bottle covers an area of up to 6,000 sq. ft.
An electronic swatter will make killing flying insects a fun experience. Once a bug hits the electric grid, it will be electrocuted. At the same time, you will have an opportunity to do exercises and keep yourself in good shape. Buy two such swatters and have a little contest with your friend, with the winner killing most of flying insects. Aspectek Electronic Bug Zapper is good for large areas, about 6,000 square feet, but is intended for using indoors only. Bright LED bulbs attract flying insects to the zapper where they are killed in the electric grid. Our friend has tested such unit in China and has shared his experience with us. He says he has seen devices like Aspectek in the country’s hotels and cafes working well and killing a large number of various biting pests. He admitted that the device can be placed outdoors but the roof or something like that is required since it is not waterproof. Read also: Bug light bulbs: Are new devices effective against mosquitoes & other biting insects? However, you should better opt for Flowtron Insect Killer if you want to protect yourself outdoors. This zapper designed in the shape of a lantern covers about half an acre and cannot be damaged by rains. Apart from its built-in LED bulb, the device can attract flying insects by chemical attractants. But whichever device you choose, it will always be less effective than traditional chemical repellents. They are typically divided into two categories: those applied to the skin and those intended for clothes as well as other artificial materials. The former usually includes DEET as an active ingredient. One of the most popular product is Repel 100 Insect Repellent containing DEET at a high concentration, almost 100 percent, provides a long-lasting protection — up to 10 hours. For application on clothes, take Sawyer Insect Repellent with the active ingredient permethrin. Its effect lasts up to 6 weeks even though you wash the treated clothes. Both solutions can be toxic and must be handled properly. If you are against chemicals, the best bet for you is REPEL Lemon Eucalyptus containing a natural active ingredient — oil of Lemon Eucalyptus. It is safe for humans and the environment but much less durable. Gadget releasing chemical compound and a lantern. Gadget repelling insects by means of ultrasound. Gadget repelling insects by means of ultrasonic and electromagnetic waves as well as ionic purification. Do scientists consider ultrasonic bug repellents effective? The frequency of ultrasound range starts from 20 kHz, which is why all products generating sound below this frequency should not be viewed as ultrasonic gadgets. Humans do not perceive sounds at such frequencies, unlike many insects. Primarily, this concerns insects that are preyed upon by bats which emit ultrasonic cries when hunting. As a result of the evolution, such insects have developed capabilities to detect ultrasound. Actually, when talking about insects “hearing” ultrasound, we do not mean eardrums typical for humans and mammals. They rather “perceive” sounds using sensitive hairs on their front legs or other parts of the body. Flying insects have the Johnston's organ consisting of scolopidia, a composition of three cells, allowing them to perceive different sounds. Scientists have not proved yet that flying insects can perceive ultrasounds, however, numerous studies show that they respond to it at a frequency range of about 40 kHz. Trials show that ultrasonic gadgets cannot be used as a full-fledged pest control tool since their effectiveness is not sufficient to complete this task. As for cockroaches, the part of the body responsible for sound perception is located on the abdomen — the last section of the body. These are highly sensitive hairs responding to the movement of sudden air currents. The pair of cerci covered with wind-sensitive hairs allows the cockroach to detect and escape a predator or anything else that poses a threat to the insect. Thus, cockroaches perceive sounds by means of cerci. It is not clear yet, whether or not and to what extent roaches are capable of perceiving ultrasound but scientists claim that these insects do not use high frequencies to communicate with each other. Ants have all of the senses that we have, however, different parts of their bodies are used for these purposes. They can perceive sound by feeling vibrations with such parts of the body as legs and antennae. It is their sensory units called scolopidia that transform vibrations into nerve impulses. At present, there is no scientific consensus regarding the ant capacity of perceiving sound. Some believe that ants are almost deaf to sonic waves whereas others disagree with this assertion. It is known that ants can emit ultrasound themselves but there is no scientific evidence yet that these sounds affect their behavior. Ants communicate with the help of pheromones, sounds, and by touching each other. Some bugs have tympanal organs consisting of a scolopophorous sense organ. These are hairs and they are larger than the Johnston's organ. Nevertheless, this organ is the least developed one in bugs and the sensory hairs can be distributed along the different parts of the body. The sense of smell is much more important for bugs. Also, there is a perception that bugs either do not perceive ultrasound or at least not affected by it. Some scientists even claim that bug’s acoustic organs do not function at all. As you can see from scientific data, ultrasonic waves at least do not play an essential role in lives of cockroaches, bugs, ants and flying insects. But the possibility of controlling them by means of ultrasound should not be excluded, given that this is a safe pest control measure involving the use of modern technologies. So, what should be done? Scientists should carry on their laboratory tests in search for better solutions for ultrasonic gadgets, while we, customers, may experiment combining various measures and tricks in order to enhance the effectiveness of ultrasonic bug repellents.